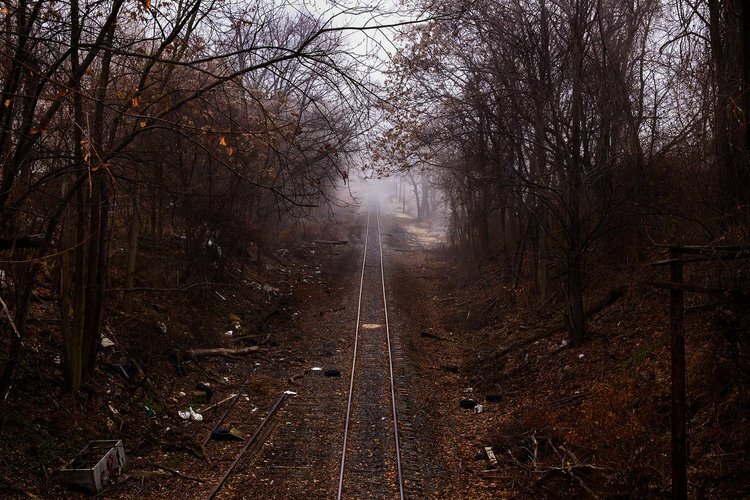 Niko J. Kallianiotis is a photographer and educator based in Pennsylvania. Originally from Greece, he started his career as a newspaper photographer, first as a freelancer at The Times Leader, in Wilkes-Barre, Pennsylvania, and then as a staff photographer at The Coshocton Tribune in Coshocton, Ohio, and The Watertown Daily Times in Watertown, New York. He is currently an Assistant Professor of Photography at Marywood University in Scranton, PA and an Adjunct Assistant Professor at Drexel University in Philadelphia. He is also a contributing photographer for The New York Times. In November of 1935 Walker Evans made a photograph about Bethlehem titled “A Graveyard and Steel Mill in Bethlehem, Pennsylvania”. A large cement cross sits in the foreground overlooking a perfectly composed scene of American life and industry. A cemetery competes with brick homes and porches that are knitted together in a plateau, fluctuating between past and present. Just when your eye comprehends the few inches of greenery, you look up only to see a changing landscape of hard factory life. Like any brilliant photograph, it speaks in a dichotomy of quiet and busy; charging rapidly towards the future yet relentlessly becoming a prophecy of the uncertain. According to a 2009 article in the Morning Call, there were 350,000 people employed in the mill, 850 job trades and 35,000 people from the city of Bethlehem. Almost half of the population of the city worked at the mill. The mill closed and parts of it have been turned into a casino. The irony? When the casino was being build they could not find construction steel. For America in a Trance, I’m exploring and respond as I travel through towns and cities across the state of Pennsylvania, a once prosperous and vibrant region where the notion of small town values and sustainable small businesses thrived under the sheltered wings of American Industry. A mode to promote American values, industrialism provided a place where immigrants from tattered European countries crossed the Atlantic for a better future. An immigrant and naturalized citizen myself, I had always perceived the U.S. differently, mostly from the big screen Hollywood experience and the adventures of “Harley Davidson and the Marlboro Man”. 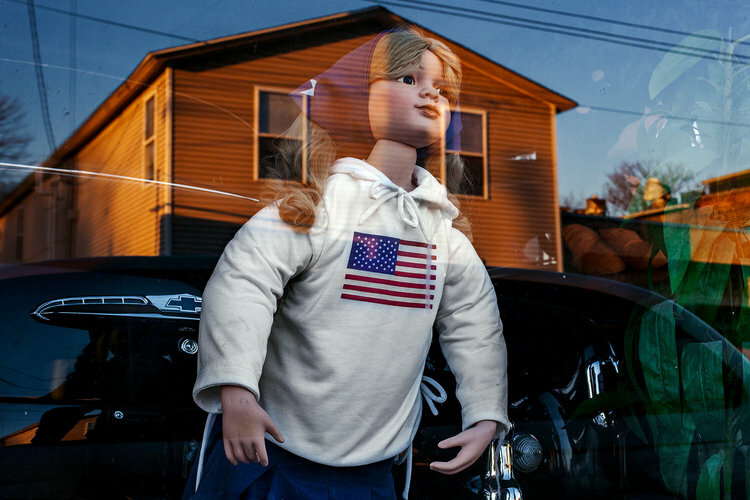 This project is an ongoing observation of the fading American dream so typified in the northeastern Pennsylvania landscape but widespread across the United States. My subject choices derive from intuition and the desire to explore the unknown and rediscover the familiar. Through form, light, and color, I let the work develop organically, and become a commentary of place and also of self. The hues work as the constituent of hope, not doom. The work is a product of love, for both the state and country I have called home for the last two decades. While my interest is not in the depiction of desolation, at times it becomes necessary to the narrative. 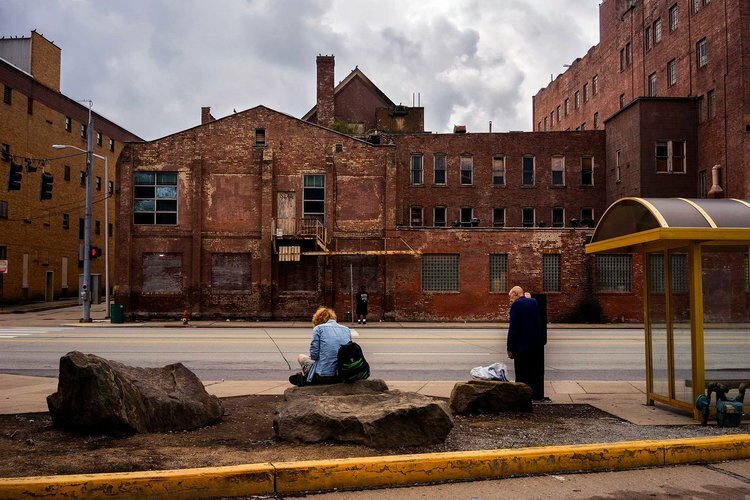 I search for images that reflect, question, and interpret life in the towns and cities across the Keystone State, and the yearning for survival and cultural perseverance. My interest is in the vernacular and the inconsequential, that which becomes metaphorical and a connotation to a personal visual anthology for the photographer as well as the viewer.